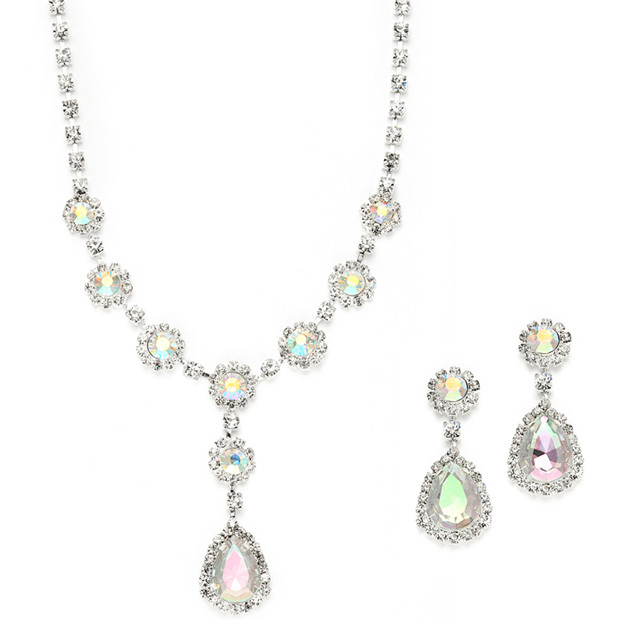 * Mariell's glistening silver rhinestone necklace and earrings set features beautiful iridescent AB faux crystal round stones and teardrops. * The adjustable rhinestone necklace and matching earrings are great for bridesmaids, prom or homecoming at an excellent wholesale price! * The adj. 15" - 17 1/2" necklace plunges 1 3/4" at the center and the earrings are are 1 1/2" h.